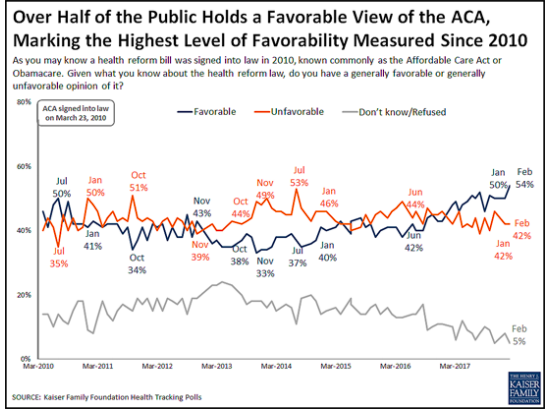 A new tracking poll from the Kaiser Family Foundation finds the highest ever public approval rating for the Affordable Care Act since the organization began asking the question in 2010. According to the survey, 54 percent of the public view the embattled law favorably, while 42 percent hold an unfavorable view. The major shift in public approval for the ACA since Trump took office and set about chipping away at the law has mostly been driven by independents, 55 percent of whom currently approve of Obamacare. Furthermore, the survey found, health care is a top issue for voters headed into the 2018 midterm elections—particularly the rising cost of health care. 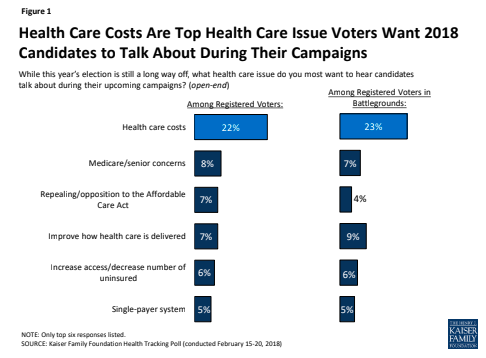 Among registered voters in battlegrounds states, far more people said they wanted to hear candidates talk about health care costs than further attempts to repeal the ACA. The findings are likely to motivate the health care advocacy groups planning to target Republican lawmakers in 2018 races for their vote to repeal the ACA’s mandate, which is set to raise health insurance premiums nearly 20 percent per year for people in Obamacare’s individual market. The Trump administration and Republicans in Congress have repeatedly proposed deep cuts to Medicaid, and pushed a bill that ultimately failed that would have phased out the federally subsidized expansion of the program that currently covers millions of Americans. Fueling that positive impression is increasingly familiarity with what Medicaid is and how it functions. A full 7o percent of Americans say they have had a direct experience with the federal health care program, having either enrolled in it themselves or through a family member. As GOP-controlled states grapple with whether or not to expand Medicaid under the ACA, KFF’s poll found broad support for doing so in their survey. In the 18 states that have not yet expanded Medicaid, 56 percent of all residents, and nearly 40 percent of Republicans, support expansion. The public is more divided on the question of work requirements for Medicaid, a policy Republican states are pursuing aggressively with encouragement from the Trump administration. 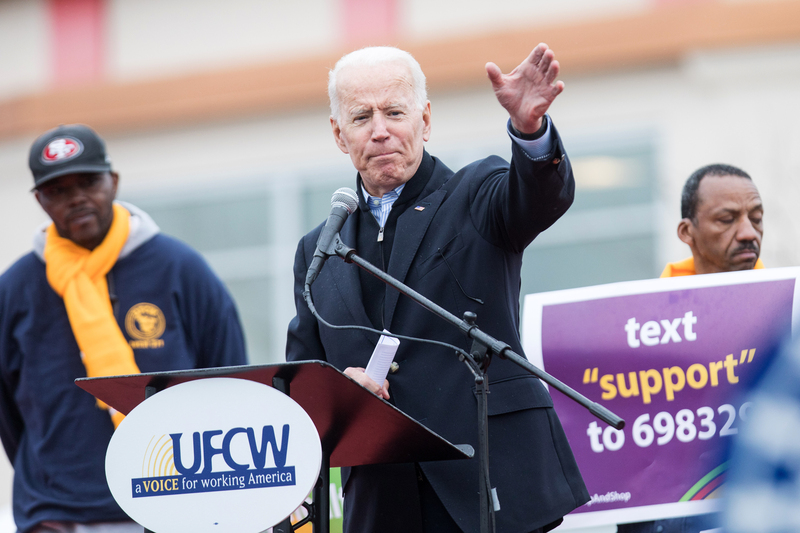 Though proponents of the requirements argue that it will encourage people to find jobs, improving their economic and physical health, most people surveyed viewed the purpose of the new rules as cutting government spending. The Trump administration has also given states a green light to impose lifetime limits on Medicaid—a program that for 50-plus years has offered subsidized insurance to low-income people for as long as they needed. 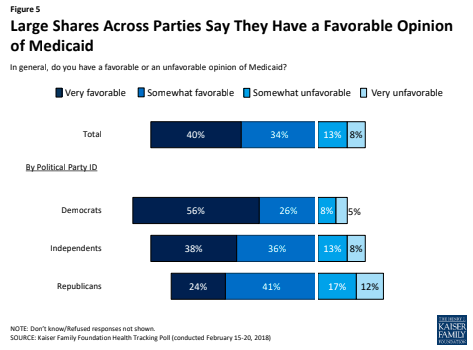 KFF’s poll found that nearly 70 percent of the public opposes lifetime limits for Medicaid, including 64 percent of independents and 47 percent of Republicans.